Survive for as many waves as you can! 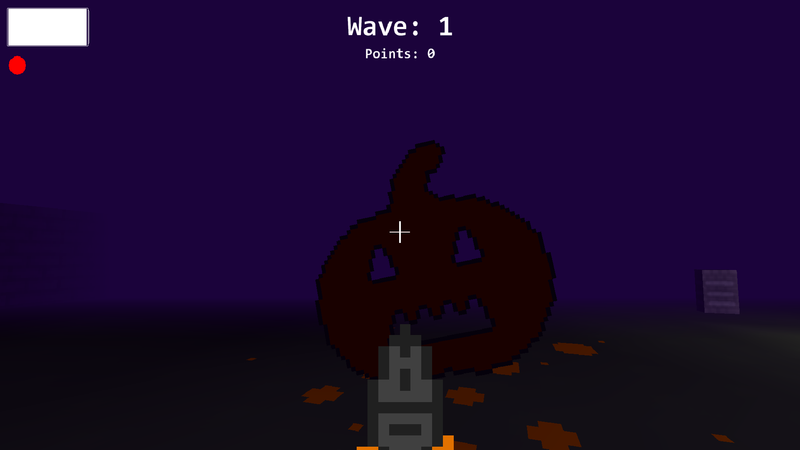 Earn points by killing pumpkins and spend them on upgrades to receive a new gun (cosmetic) and a boost to full health! Download the .exe file and double click it to play!